On Sept 9-10th, 2017, we'll be trekking to Peth Fort. 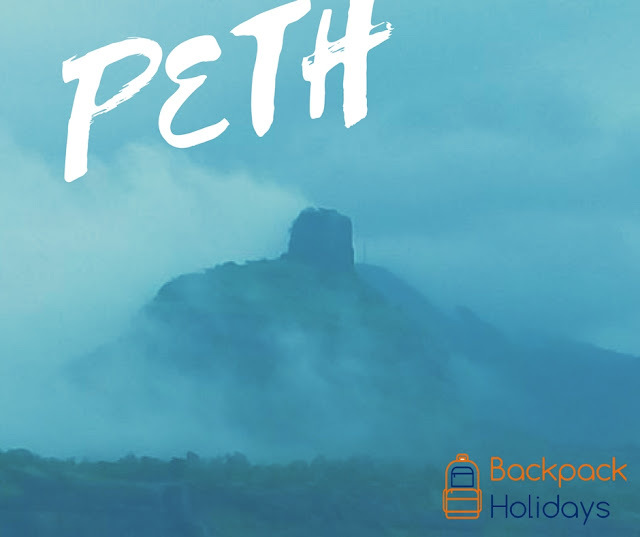 Peth is also known as Kothaligad, this fort is on Murbad Road, off Karjat. A slightly longish trek which first takes us from the base village of Ambivali to the plateau village of Peth. The final ascent to the fort starts from Peth village and takes us to a large cave on top of the fort and an almost vertical rock staircase to the pinnacle. This fort too offers excellent views of the rest of the Sahaydri Range. We will be traveling by a bus booked for us, which will begin from Sanjay Gandhi National Park Gate, Borivali East at 13:00 hrs and continue Southward on the Western Express Highway. For pick-up points beyond this, please contact one of us and we can decide on the best suitable location. 1. Travel from Mumbai to Ambivali village and back would be by private bus. 2. The above costs also include Dinner on day one, Breakfast and Lunch on day two. 3. No alcohol will be provided at any point. 1. WATER: At least 3 litres of water. 2. SHOES: Check your shoes before the event for strength, grip and comfort. Avoid old unused and brand new shoes. Carry slippers/flip-flops/sandals to be worn during rest time and travel. 3.CLOTHES: Wear comfortable clothes which allows you to stretch, climb and jump. Ensure the trackpant and tshirt covers your body fully. 4. FOOD: Chocolates, Chikki, Dry Fruits, biscuits, farsan, plum cakes, etc. 9. ELECTRONICS: cameras, torches, extra bulbs and batteries. Make sure to have waterproof coverings to protect their belongings from moisture.